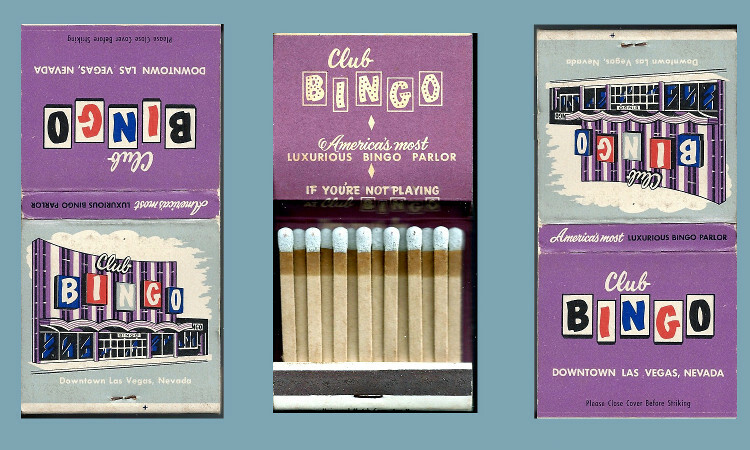 Club Bingo was eventually combined into the Pioneer Club Casino. Compare the view from the postcard on the left with the picture on the right that I took in 2009. 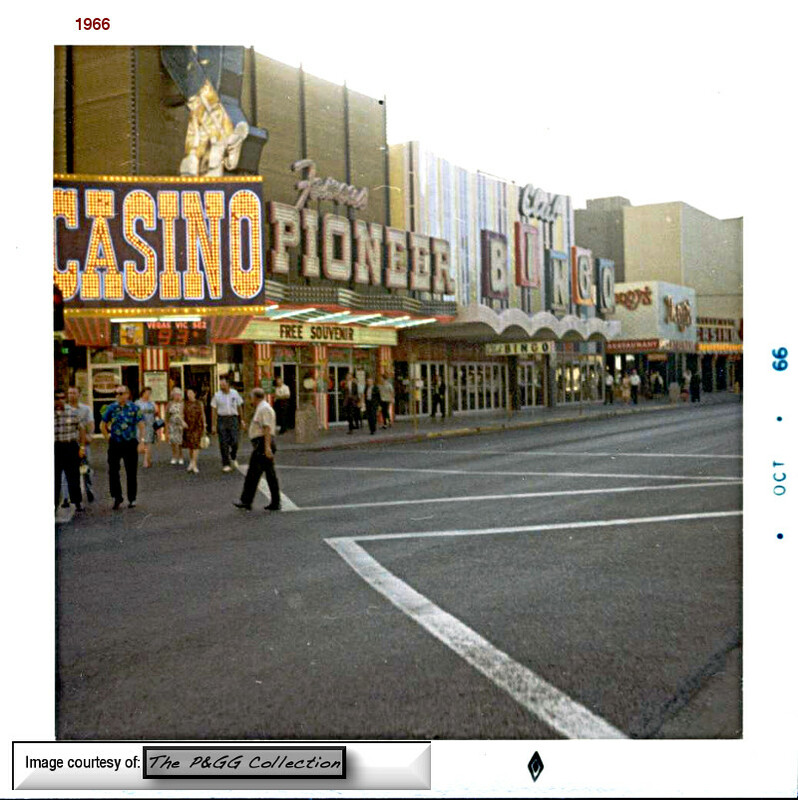 Vegas Vic has remained in place and so has the Golden Nugget. 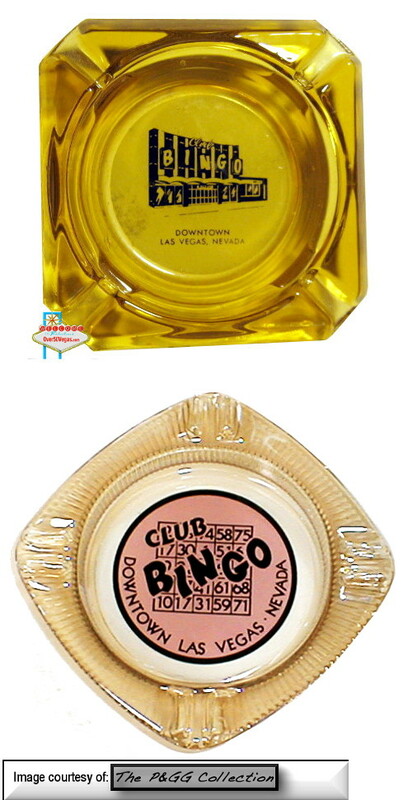 But the Club Bingo location is now the site of an ABC Store and the Pioneer is a gift shop. 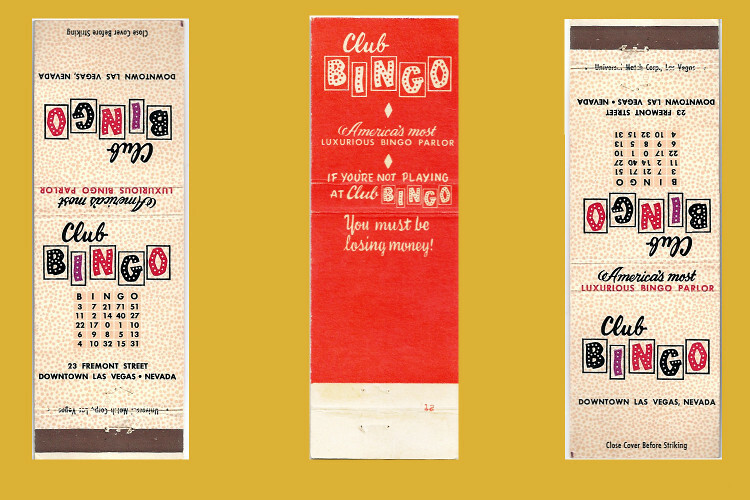 In the photo above, a nice shot of Club Bingo and the Pioneer Club. 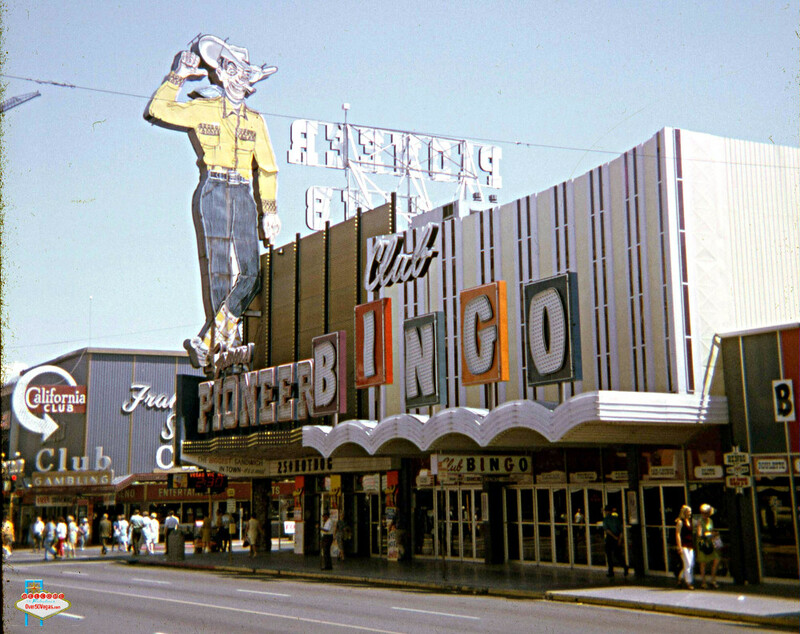 before the expansion of the Golden Nugget that took over its space. 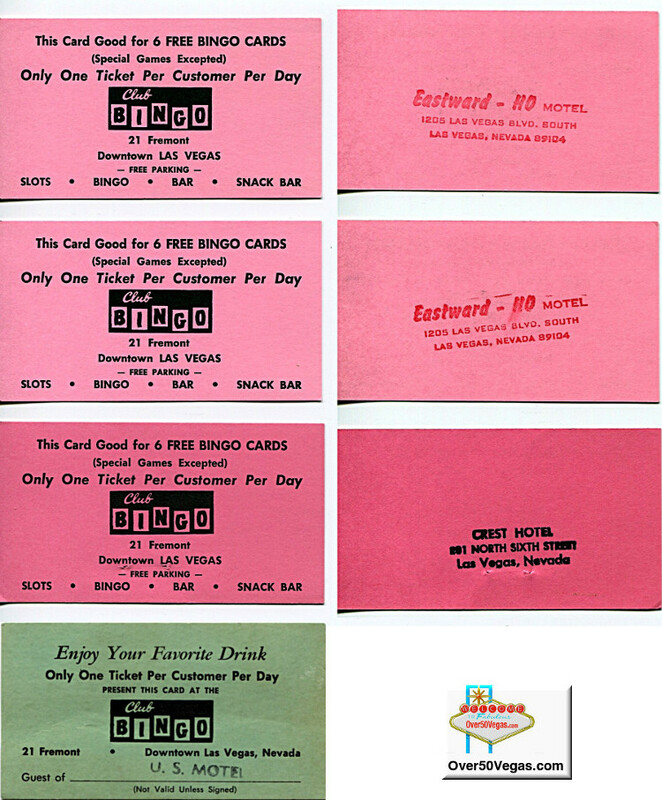 Local properties including the US Motel, Crest Hotel, and Eastward Ho, would furnish their guests with coupons for free stuff at Club Bingo.